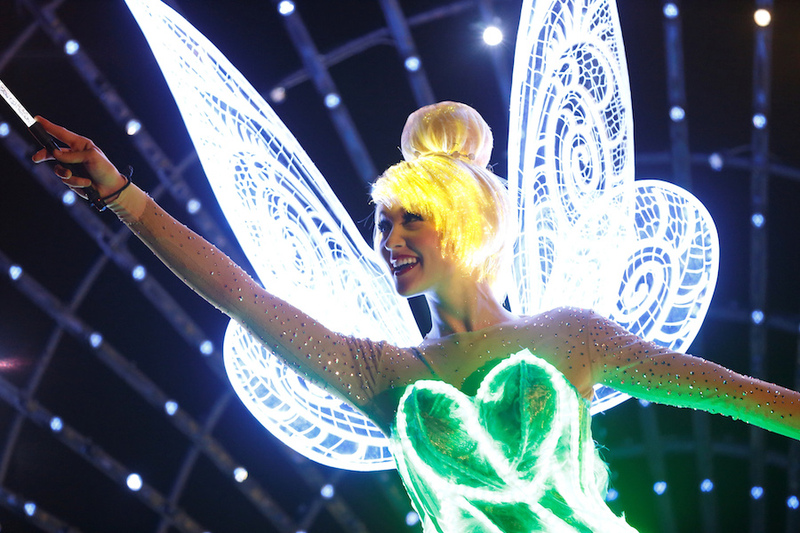 Which is better — Walt Disney World or Disneyland? Welcome to this month’s Magical Blogorail Orange loop. Today we compare Walt Disney World and the Disneyland Resort. When it comes to Disney, the age old question is almost always “Which is better? 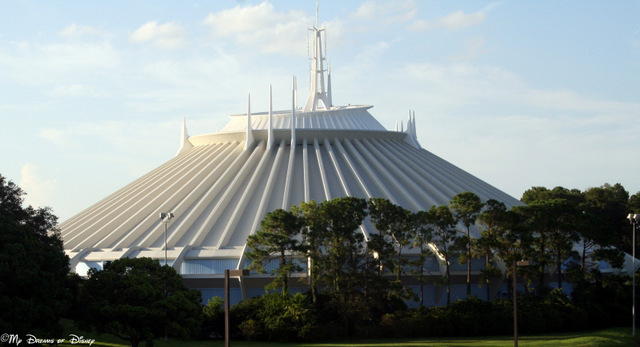 Walt Disney World or Disneyland?” In this post for the Magical Blogorail Orange Loop, I’m going to look at the parks as a whole and try to help determine which is better. Let’s see where this journey takes us, and see if we can get a consensus result! For this post, we’re going to look at five key areas at both resorts and grade them as to which resort takes the cake on each of them. Those five areas are Pirates of the Caribbean, Space Mountain, Big Thunder Mountain Railroad, and Splash Mountain attractions, as well as a look at the intangibles that are unique at each park. The Pirates of the Caribbean is our favorite ride! 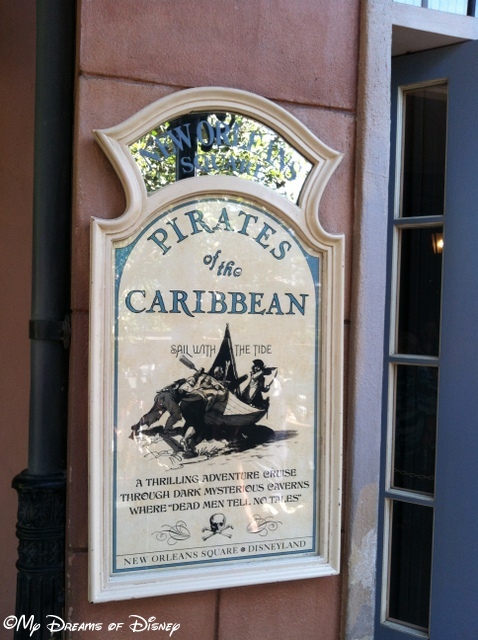 In my opinion, when it comes to Pirates of the Caribbean, hands down, the best place to ride it is at Disneyland. 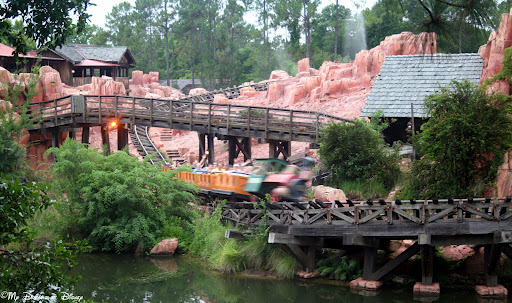 For starters, it is longer by a full 7 minutes — almost doubling the length of the ride at Walt Disney World. Additionally, it has two drops instead of just one. It also starts out with a meandering path right past diners at the Blue Bayou, and it is as if you are in the bayou of Louisiana, almost as if you are immersed directly in the movie the Princess and the Frog. However, there are some things about the Walt Disney World version that I like better. For starters, the queue for the one at Walt Disney World is much better in my opinion. Additionally, Pirates at Walt Disney World opened up on December 15, 1973, seven years to the day that Walt Disney passed away. For me, that is a tribute in Walt’s honor. However, all of those things doesn’t sway my choice, and for this attraction, Disneyland has the better attraction. Space Mountain at Disneyland has rockets that are two seats wide, whereas the one at Walt Disney World is single file seating. Sophie has finally gotten to where she likes Space Mountain — it took her a while to get to that point — and I think it was partly because of the side by side seating at Disneyland. For that reason alone, I think the Disneyland version is better, but it’s really a toss-up for me more than anything. When we last visited Disneyland, two years ago, Big Thunder Mountain Railroad was closed for refurbishment, so by default, right now, at least, the version at Walt Disney World wins the vote for me. I do reserve the right to change that as I experience the ride at Disneyland, but right now, Walt Disney World wins this challenge. 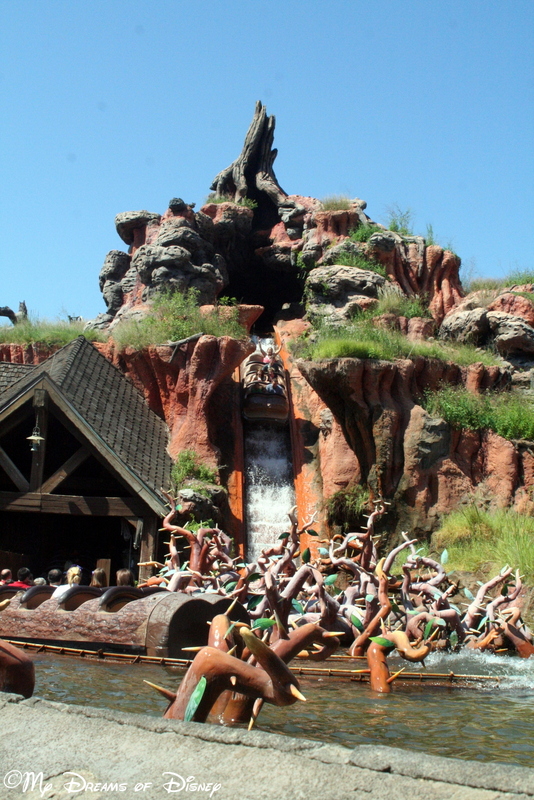 At Disneyland, Splash Mountain incorporates single file seating, and at Walt Disney World, it features side by side seating. That’s completely opposite of Space Mountain. Sophie’s first experience at Splash Mountain was at Walt Disney World, and as a result, I think that wins my vote for which is better. The intangibles at each park are striking. At Disneyland, you’ve got the whole history factor to consider. It was Walt’s park, he built it, he walked those paths, he slept there. At Walt Disney World, that isn’t the case, but Walt Disney World has the economy of space that gives it a distinct advantage. They have so much space that you truly feel like you have entered an entirely different world when you get there, and that isn’t the case at Disneyland. Additionally, at Walt Disney World you have four parks and two water parks, whereas at Disneyland Resort you have two parks. Those two parks do a great job of putting in the best things from Walt Disney World, but they don’t have the space to put them all in, so you end up missing some things, like Carousel of Progress, the TTA, and others. I could go on and on, but at the end, the simple fact is that you can’t choose one over the other because of the intangibles simply because each experience offers unique things that the other doesn’t. Because of all of this, the answer to the question “Which is better, Disneyland or Walt Disney World?” comes up with a resounding “It depends” answer. Most likely, if you have the time and opportunity, you are going to go to Walt Disney World because that is a destination vacation. If you are going to Disneyland, chances are that you are going to Disneyland as part of a further Southern California vacation, and not just to go to Disneyland itself unless it’s for a short trip. Because of all of that, I think you can’t really put one in front of the other, but what do you think? Please let me know in the comments, and thanks for stopping by! 3rd Stop – My Dreams of Disney | Which is Better? 5th Stop – Trips with Tykes | Shared Attractions – Who Does It Better? Hello everyone! 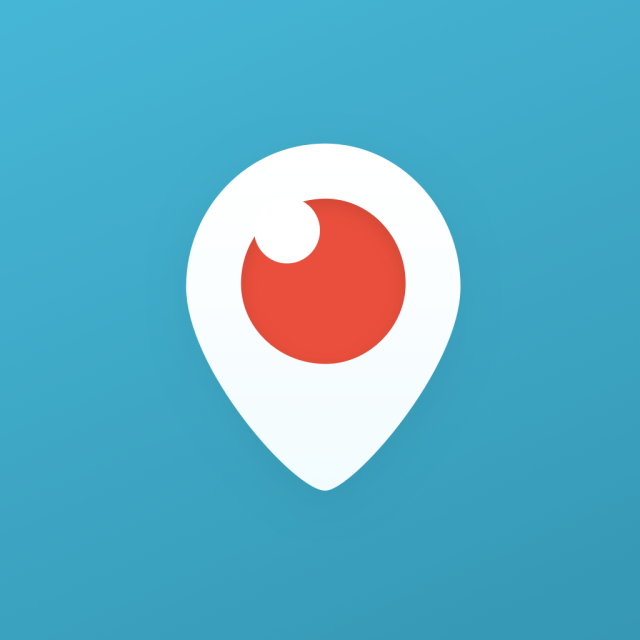 Welcome to Periscope — at least, the My Dreams of Disney section of Periscope! It is absolutely crazy, but in 9 days we will be in California for #Disneyland60! I absolutely can’t wait for this trip, it is one that I have been looking forward to for a long time! To make it even more special, I am going to be using the Periscope app to transmit parts of our visit — especially on Friday, July 17, 2015, the birthday of Disneyland — to all of you via Periscope! I am very new to this, so in all likelihood, I’m going to look foolish, or it will crash and burn or something like that. But that’s okay! So tell me, do you think you will get into Periscope? I think it’s a unique way to bring the parks back home, so others can enjoy the Magic that Disney has to offer. I hope to “see” you there on July 17th! Until then, we’ll talk to you later! Hey guys!!!!! I’ve got some news!!! But first, I’ve got a trivia question for you! Since nobody commented a question, I’ll just give you one from my Disney Book of Trivia! Question: I heard that Walt Disney had an office in Sleeping Beauty Castle at Disneyland. is this true? If so, where in the castle was it? David, Monterey CA. The answer: There was no office in Sleeping Beauty Castle, but Walt did have an apartment over the Main Street Fire Department, where he relaxed and entertained VIP visitors. So, about the news, the title says it all. 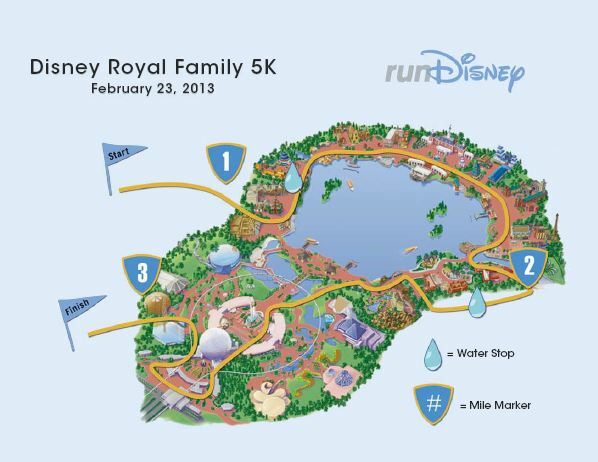 My family and I are going on a trip to Walt Disney World in February to run in the Disney Princess 5K (although, we’re calling it in the house the Frozen 5K because it’s Frozen themed!) It will be a four-day-three-night trip. We leave on Wednesday afternoon, we come back on Sunday. Please tell me what you think I should wear to run the 5K. I’ll be checking the poll every now and then. So please vote! Thanks, and go out and have a great Disney Day! What should I wear for the Princess 5K? Welcome to those of you joining me from IN THE MOUSE HOUSE and those of you just hopping aboard. I am the 4th stop on our Magical Blogorail. Although I was born in Canada, my parents and entire extended family pretty much hail from over the pond in bonny ole England. I’ve been there only three times in my life, but each time I was only a child, the last time being when I was just 14-years old. So returning as an adult and sharing my heritage with my wife certainly appeals to me! Climb aboard an iconic red double-decker bus for a private tour of London with an elevated view of Westminster Abby and Buckingham Palace. Delight in the splendor and serenity of the English countryside during your 2-night stay in a 19th-century manor house. Walk among towering stone blocks that have stood for millennia at Stonehenge. Explore the mysteries and legends surrounding the construction of this timeless monument. Discover how kings and queens lived during a privately guided visit to Windsor Castle, current home to the British royal family! Journey to the top of this 1,063 foot (324 meters) — tall structure and get ready for one of the most magnificent views in Paris — or anywhere in the world! Marvel at the gargoyles of Nôtre Dame Cathedral. Then, as the adults follow a local expert to view some of the world’s greatest masterpieces in the Louvre, Junior Adventurers discover famous art works on an interactive scavenger hunt. What I like about the idea of touring these destinations with Disney is the safety factor. I’m not a big world adventurer and don’t like being in situations where I don’t have control. This may curtail a certain amount of fun, but at least I arrive home alive after each of my vacations! And I’m sure a Disney Tour Guide could add a few Disney details to the locations visited. France appeals to me because of the architecture and art scene, and of course, Disneyland Paris! So my dream Adventure by Disney would be first to connect with my English heritage, and second, to explore the beauty and Disney Park fun of France. Now if I can just come up with about 6,000 US dollars I’ll be on my way! Check out this link: England and France Tours for full details.